HBO has recently released a two-minute teaser for the final season of Game Of Thrones. And instead of enjoying a quick taste of the eagerly anticipated conclusion of the show, the internet goes online over the commercial like the goddamn Zapruder movie. The teaser finds three of the Stark kids (Sansa, Arya, and Jon) crawling through their family's tomb. It seems that HBO is shitting on the synergy of companies, because the trio never stumble over a rubber lens doll with a penchant for bad puns. Instead, they find three statues of … themselves . Of course these are not actual recordings from the show. It was all staged as an enigmatic commercial, as if the castaways of Lost all slowly danced and groped each other, as if they had just discovered a bunker of the Dharma Initiative full of ecstasy. The fans are still looking for clues, first in the statues. Remarkably, Sansa and Arya's stone figures look about the same age as they are now, while Jon's look older. This could be implies that Jon survives into old age while his sisters bite the dust prematurely. 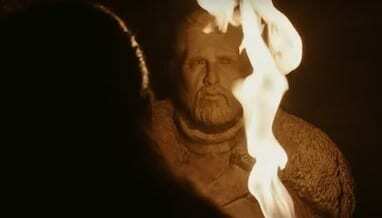 Jon's statue also seems to have closed one eye, which may indicate that he will lose it in combat or that the show ends up blinking directly into the camera. Then there's the feather that floats to the ground as Jon walks by. Dedicated fans recognized this as the feather that Robert Baratheon had laid on Lyanna Stark's grave in the first episode, rather than an [F] Forrest Gump . Some have taken this as a premonition that Jon will soon find out that Lyanna is indeed his mother – and on the sick side of things his new girlfriend is his aunt. The most blatant, as in a low-fiber diet, is a conspicuous lack of bran. Why was he expelled from Stark's family reunion? It could be that he is now the three-eyed raven or even because the teen slept that day. But some of the viewers believe this is the confirmation of one of the craziest fan theories: Bran is the Night King. How? The theory is that Bran was captured as the Night King after being thrown back in time to prevent the White Wanderers from being created in the first place. A sort of ice zombie equivalent of Doc Brown stuck in the Old West. So, if you buy that, the ominous blue nebula seeping into the crypt at the end of the trailer is the missing Stark sibling. Either that or we get an entire episode about Winterfell's cool new dry ice machine. You (yes, you) should follow JM on Twitter or check the podcast repeatability. If you liked this article and you would like more content, please visit our post page. Please and thanks. For more information, visit Travel Alert: The skies of Brazil are full of spiders and this story about Robbie Williams and Jimmy Page is probably BS. We would also like to hear more about you and your interesting life, dear readers. If you've spent your days doing cool stuff, drop us a line at iDoCoolStuff at Cracked dot com, and maybe we can share your story with the entire Internet.